Nutrition labels are an excellent source of information for a quick overview, especially because nutrition research is a relatively messy field, making sifting through information a tedious (and confusing) undertaking. But they don’t give us the whole scoop. In fact, many important compounds aren’t listed on your standard label, not to mention researchers are constantly making discoveries. While we know from a quick glance at a nutrition label that cauliflower has a healthy dose of folate, vitamin K, vitamin C, potassium, and vitamin B6, it has a few other compounds and properties that deserve some extra attention. Gluco-what? Cruciferous vegetables like cauliflower are sources of sulfur-containing compounds called glucosinolates. When they’re chopped or chewed, bioactive glucosinolate hydrolysis products, such as isothiocyanates, are formed. These products trigger antioxidant and anti-inflammatory responses and contribute to the maintenance of cell homeostasis. Sulfurophane is a type of isothiocyanate. You may be familiar with it because it has already made an appearance on this blog. It activates a special genetic pathway in our cells known as Nrf2, which is a master regulator and controls over 200 other genes including ones that affect anti-inflammatory processes, antioxidant processes, and even the ability to inactivate potentially harmful compounds that we’re exposed to on a daily basis. This compound has been shown to protect the tissues of the retina from oxidative stress that can result in eye conditions such as blindness, cataracts, and macular degeneration. We usually get omega-3 fatty acids from foods like fish - especially salmon, herring, and trout - and some nuts and seeds - like flax, chia, and walnut. But cauliflower is an unusual source of omega-3 fatty acids. The recommended intake for non-pregnant adult women is 1.1g per day and 1.6g for men, and cauliflower has 37mg in a cup. 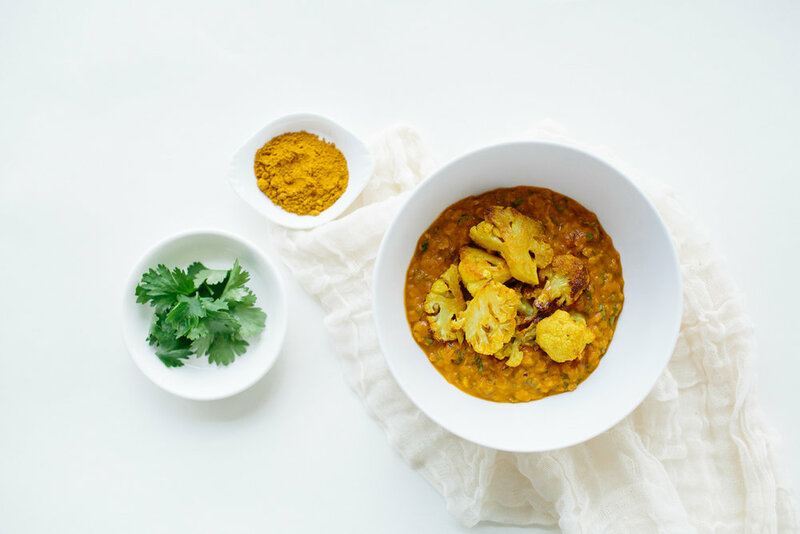 You’d have to eat a lot of cauliflower to get the full amount of what’s recommended, but while it isn’t as high in omega-3 as some other foods, it’s an affordable source to include in your diet for a little variety. Cauliflower is an excellent source of antioxidants like carotenoids, tocopherols, and ascorbic acid. Purple cabbage in particular has more of the antioxidant anthocyanin, and orange cabbage holds more beta-carotene. These antioxidants - together with cauliflower’s vitamin K, vitamin C, and omega-3 fatty acid content - give it anti-inflammatory properties. It’s often thought that raw produce is better than cooked. But if you don’t like raw cauliflower, don’t fret. Studies show strong nutrient richness in both raw and cooked cauliflower. In fact, cooking cauliflower can actually make its nutrients more bioavailable due to the breakdown of cell walls. So go ahead and have your cauliflower any way you want - dipped in hummus, roasted, or even in a smoothie. What's your favorite?